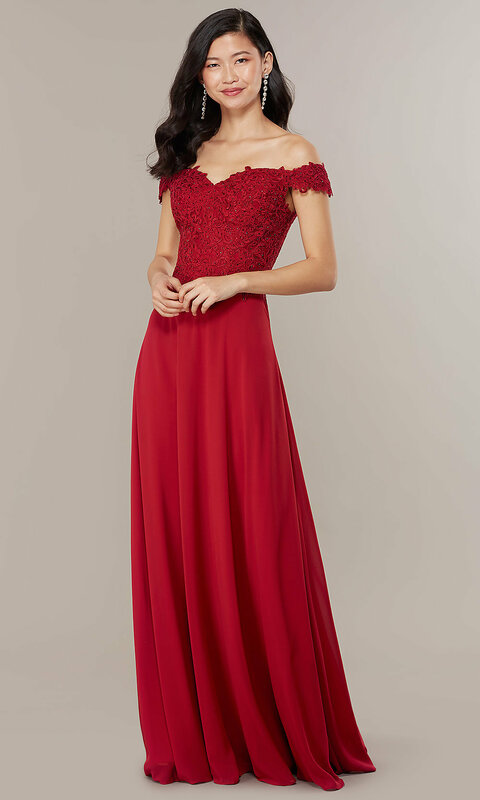 A sparkling style for your big evening, this long formal dress features rhinestones on the embroidered-lace bodice. 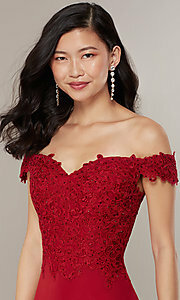 The romantic off-the-shoulder dress has a sweetheart neckline and banded sleeves that drape over the arms. 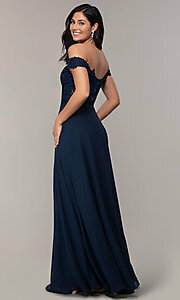 Sheer beaded floral lace covers the back of the beautiful evening dress. The fully-lined skirt flares away from the hips in an a-line style to complete the figure-flattering look. This affordable long formal dress, under $150, is as pretty for black-tie galas and fancy weddings as for prom 2019. 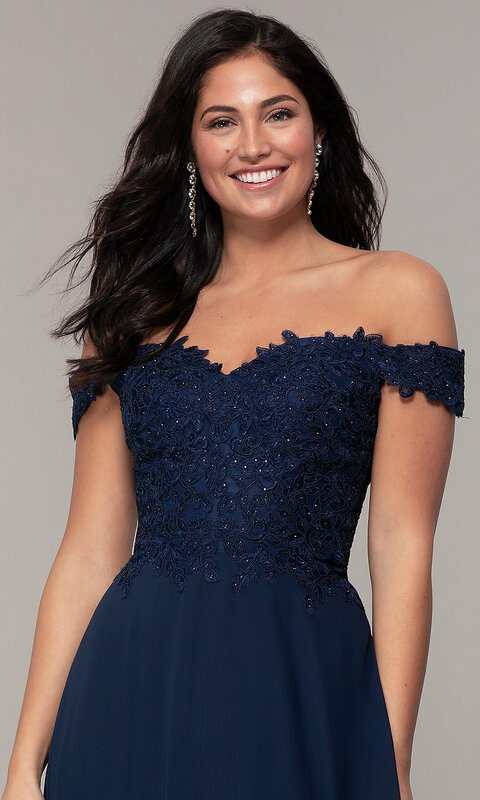 The model wearing navy is 5'9.5" and wearing 4" heels.